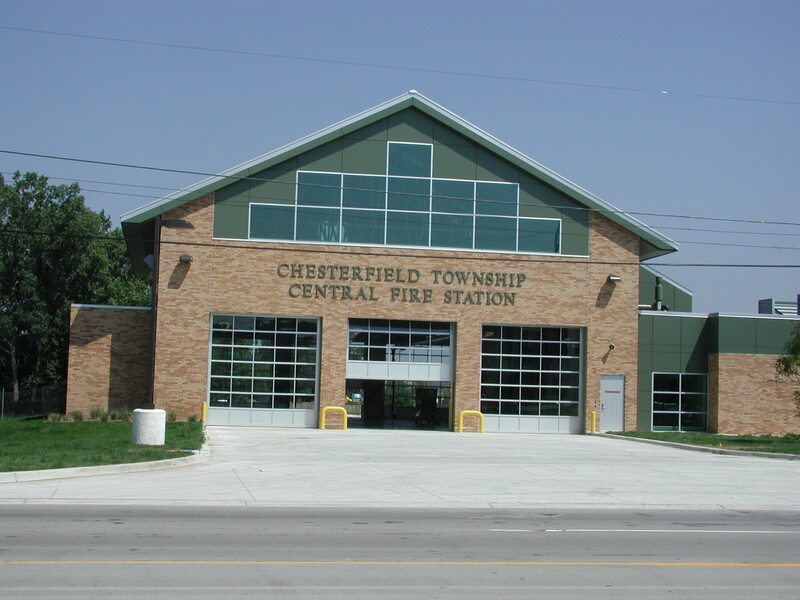 Fire Department Headquarters & Central Fire Station, Chesterfield Township, MI - Redstone Architects Inc.
Chesterfield Township initially engaged Redstone Architects Inc. to develop a Needs Assessment Program for a new Fire Department Headquarters Station. Included in the assignment was the development of a preliminary budget for the project. The design was developed using a revised program of 15,990 sq. ft.